Abundance of golden and turquoise abstract symbols and forms on majestic purple Margilan chiffon silk makes this dreamy nuno-felt scarf an excellent gift. Only natural materials, rich muga fibers and finest merino wool have been used to make true this wedding dream inspired by Klimt. 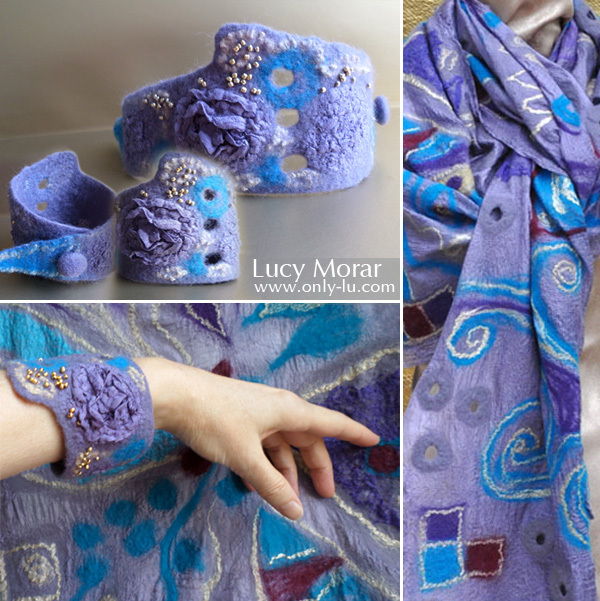 This entry was posted in jewelry, nuno felting, scarf on December 12, 2014 by Lucy Morar. This is a thing from another world. Iridescent fuchsia & purple fine silk, mesmerizing free-flowing colorful images and shapes. And it feels light and warm. This beautiful, authentic necklace complements Nuno Felt Art scarf “Flow of Imagination”. It is made of of felt woolen beads on platinum plated chain. 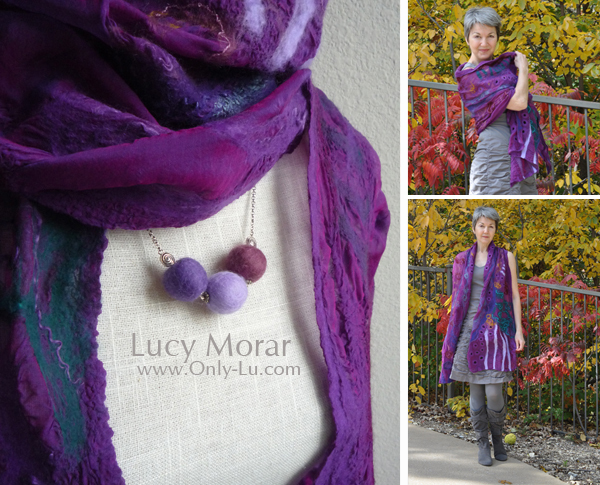 This entry was posted in jewelry, nuno felting, scarf on November 29, 2013 by Lucy Morar. Custom order set: pink scarf and necklace. Super-Fine Merino Wool, exclusive pink color. Very gentle and light scarf designed in paisley style. Necklace “Pink Fancy” is made of crocheted round pink beads and greenish-grey flat stone beads. Vivid pink color of the crocheted beads creates a sense of fun, and makes a good complement to the scarf. 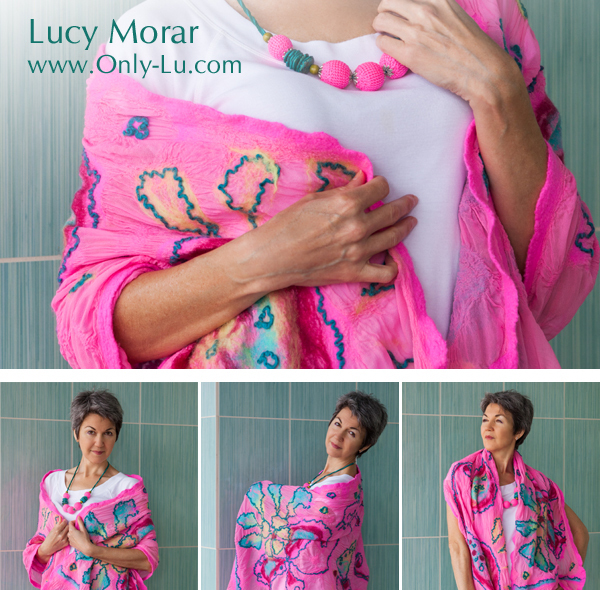 This entry was posted in jewelry, nuno felting, scarf on May 24, 2013 by Lucy Morar.